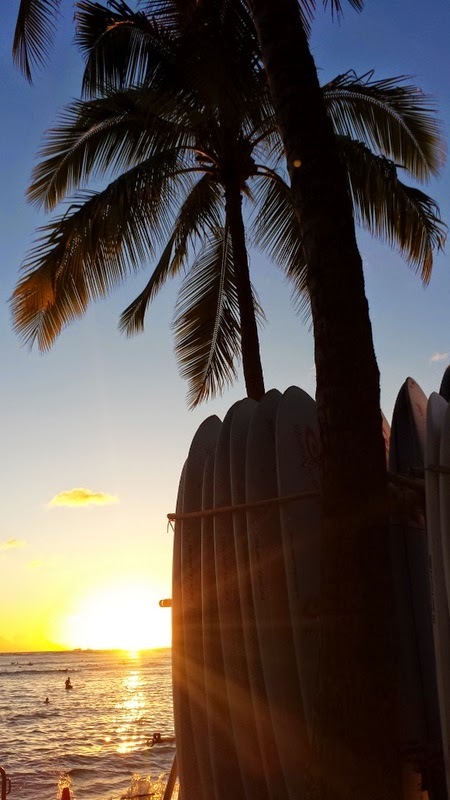 Happy Aloha Sunday to you! Fortunately Ana behaved herself and we just had clouds, rain and cooler temperatures. Great for residents who want a lazy day inside, but not so much for those here on vacation. There aren't that many indoor activities here. A little over a week ago I was in Honolulu for a day long conference. Even though it's another island and requires a flight, many people will just hop a commuter flight for the day and go back the same night. I spent the night to enjoy the big city experience...and to avoid getting up at the pre-crack of dawn. Sitting in the cab in traffic on the way to the hotel, I immediately appreciated the lack of congested traffic on Maui. The best game to play in Waikiki is How many ABC stores can you spot? A lot. 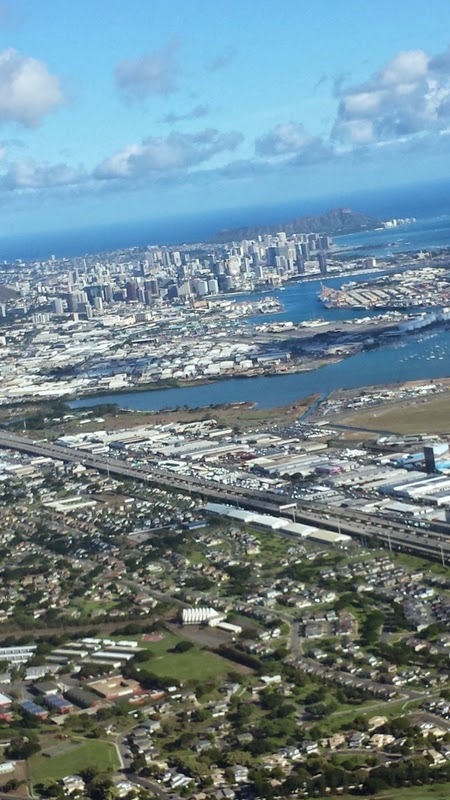 Honolulu from the air - look at all those buildings! The pumpkin spice madness continues. Today my sister posted a picture of a limited edition pack of pumpkin spice gum. Um. No. Looking for more PSL humor? Check out this clip from Last Week Tonight or this pumpkin spice movie trailer. Or even better, this buzzfeed post about trying a PSL for the first time. I've been seeing some good looking soup recipes recently. I haven't gotten organized yet to make them, but I have intentions. Intentions for chipotle potato soup and a chicken, bacon and orzo soup. I did, however, make time to bake these cookies. And the first lady is pretty clever in her Turnip for What vine responding to questions filed under #askthefirstlady. My friends who were serving in Liberia and have been in limbo for the past few months since coming back to the states have a new call. They will be serving in Hungary in a few weeks. It's hard to say when they'll be able to go back to Africa. There has been a lot of press about the confirmed cases of Ebola in the USA (as this infographic and article point out). Keep praying for the health and safety of everyone affected, wherever they are. My friend Chantal has recently moved back to the states after 8 years of living abroad in Switzerland. If you want to know about Swiss life, or returning to American life, check out her story over on One Big Yodel. And there you have it! Have a great week.